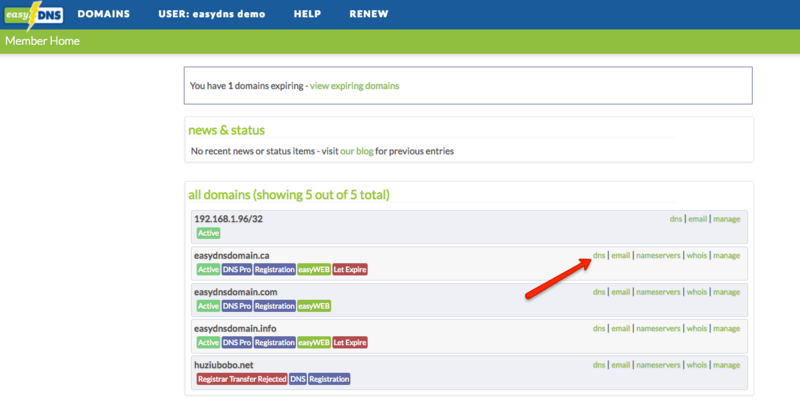 These settings govern the length of time other nameservers will cache this domain’s current DNS data. Expire after: The time set here will determine for how long third party nameservers should hold stale data if they cannot refresh their settings. Minimum time to live: The time set here will determine how long third party nameservers should cache the data for this domain. MX records define what server is responsible for handling email delivered to zones/(anything after the ‘@’ in an email address is a zone/) based on your domain name. The server name must be in the form of a hostname /(eg. mail.yourdomain.com/) that has an A record somewhere. A records are host records which point directly to an IP address. These define where a call from a client application (such as a web browser, FTP client, etc..) will direct itself. Commonly set A records would be the root domain (eg. yourdomain.com) or a mail server such as mail.yourdomain.com. A records can only point to an IP address, never to another host or URL. NOTE: Round Robin DNS is supported for domains subscribed to DNS Hosting and above. Users will need to put in A Record with the same host but two different IP addresses. These are the hostnames within this domain which are enabled for Dynamic DNS updates as they have a dynamic IP address. CNAME Records, aka Canonical Names or Aliases are host records which point to an A record, rather than an IP address. ANAMES for the root record would be added in as a CNAME. URL forwarding allows you to forward your domain name or a hostname within it to another URL such as a web page on a free hosting service or a third-party blog (eg. blogspot.com). URL forwarding is different from CNAME records because it can be used to forward a host to a specific page if need be, rather than another hostname (eg. http://web.easydns.com/About/ rather than just http://web.easydns.com). The column marked “301” allows you to force easyDNS URL forwarders to redirect, using an HTTP “301” response code. This tells any search engines to assign any page relevance for this domain to the TARGET domain, rather than your own. The “country” column allows the user to GEOTARGET your traffic. That is, you can send web traffic from specific countries to different remote URLs, enabling you to route users to country specific sites. Like URL forwarding, Stealth Forwarding allows you to forward your domain name or a hostname within it to another URL such as a web page on a free hosting service or a third-party blog (eg. blogspot.com). The difference is that with Stealth Redirection, the location bar retains your domain name, even if the website is loading from some other location. SRV, or service, records are a new addition to the list of DNS resource records which allow a great deal of flexibility and stability to services making use of them. Like a “general use” MX record, the SRV records relate to a particular service of the domain, like FTP or SIP, rather than a specific machine the way A or C-name records do. This is the service the record is being set up to handle, such as sip or ftp. This must be the standard designation for the service, so you will want to check the documentation on the service if you are not entirely sure what to enter. This is the protocol the service is running on. Currently SRV records support the TCP and UDP protocols, which you can select from the drop down menu in this field. If the same service can be running on either protocol you can create SRV records for the same service pointing to the same or different machines as appropriate. This is the name people will use to look for the service you are creating the record for, it can be the domain name itself or a specific host of that domain. If the host is to be the domain name itself, enter “@” in the host field rather than leaving it blank. Like with an MX record, priority determines in what order servers are queried if there are multiple SRV records for a given service. The lowest number prioroty is looked to first, so a server with a priority of 5 would be checked before a priority of 10. 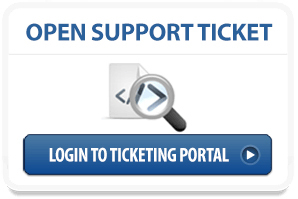 The higher priority numbers are checked in cases where the first server is unavailable. In the event of multiple records, weight is a load balancing mechanism which determines the proportion of traffic the given target will handle. If 2 SRV records exist for the same service at the same priority, traffic will be directed to them in proportion to the weight. A server with a weight of 20 will receive twice the traffic as one with 10, and so on. If there is no load balancing going on it is recommended to use a weight of 0. Port is the port number the service is run through on the machine providing it. This may or may not be a standard port designated in Assigned Numbers. This is the host name of the machine providing the service for the domain. This name must be defined as an A record for the SRV record to function. TXT Records are a text field in the zone file for a domain which can be used to provide many kinds of information about a specified host. One of the most common uses of TXT records is to create SPF records. If this is what you want to do, you can use our SPF wizard to create your SPF data, then copy-and-paste it into your TXT record. CAA Records specify which Certificate Authorities are allowed to issue SSL certificates for a domain and it’s subdomains. 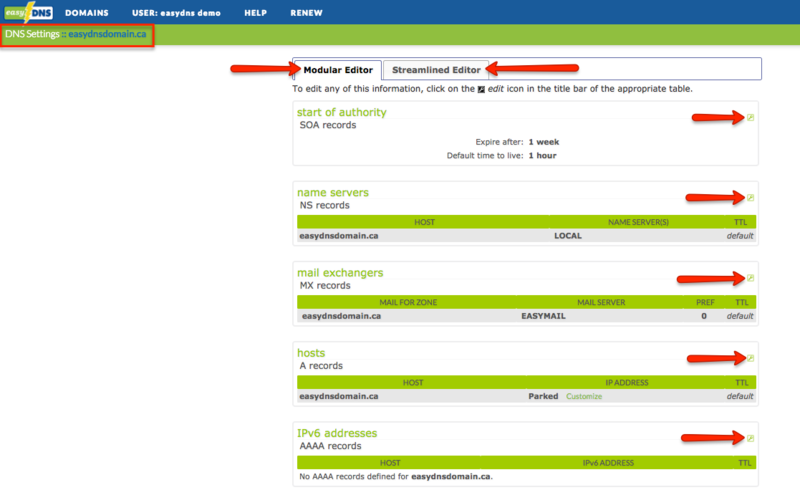 NS records are not the same as the Nameservers listed in the WHOIS for your domain! These records should only be edited to delegate a specific host record (subdomain) to nameservers outside of easyDNS. Naming Authority Pointer Records specify a regular expression based rewrite rule that, when applied to an existing string, will produce a new domain label or URI. Depending on the value of the flags field of the resource record, the resulting domain label or URI may be used in subsequent queries for the NAPTR resource records (to delegate the name lookup) or as the output of the entire process for which this system is used. This allows the DNS to be used to lookup services for a wide variety of resource names (including URIs) which are not in domain name syntax. Reasons for doing this range from URN Resource Discovery Systems to moving out-of-date services to new domains. An integer specifying the order in which the NAPTR records MUST be processed to ensure the correct ordering of rules. Low numbers are processed before high numbers. An integer that specifies the order in which NAPTR records with equal ‘order’ values SHOULD be processed, low numbers being processed before high numbers. This is similar to the preference field in an MX record, and is used so domain administrators can direct clients towards more capable hosts or lighter weight protocols. The important difference between Order and Preference is that once a match is found the client MUST NOT consider records with a different Order but they MAY process records with the same Order but different Preferences. I.e., Preference is used to give weight to rules that are considered the same from an authority standpoint but not from a simple load balancing standpoint. A character string containing flags to control aspects of the rewriting and interpretation of the fields in the record. Flags are single characters from the set [A-Z0-9]. The case of the alphabetic characters is not significant. At this time only four flags, ‘S’, ‘A’, ‘U’, and ‘P’, are defined. Specifies the service(s) available down this rewrite path. It may also specify the particular protocol that is used to talk with a service..
A string containing a substitution expression that is applied to the original string held by the client in order to construct the next domain name to lookup. The next name to query for NAPTR, SRV, or address records depending on the value of the flags field. This must be a fully qualified domain name. NOTE: Both NS Records and NAPTR Records are advanced DNS features and must be enabled through the PREFERENCES link in your control panel before they appear under your DNS SETTINGS.